My dearest fans, friends and family. I've worked so hard these past months... That I couldn't wait anymore. So here it is. Available on all Amazon online stores. 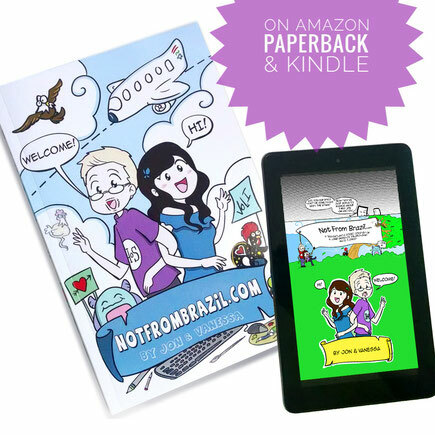 This volume includes the first year of our long distance relationship, all cartoons redrawn, new pages never published before, new characters and tips on how to travel without stress and how to survive a long distance relationship. Don't forget to review and share with everyone! Thank you so much!